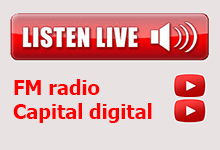 Capital Community Radio is the preferred radio station for a large number of listeners in the Greater Perth area . With this solid listener base, it is an excellent platform from which to market a wide range of services and products. Advertising at Capital Community Radio is at a fraction of the cost of the normal print, TV and other radio outlets, and the more of your messages that go to air, the cheaper it gets. So why don’t you become a Capital 101.7fm sponsor, take advantage of our very reasonable rates and get your important message across with the minimum of fuss. All you have to do is to contact the station on 9364 9888, and a member of of our Sponsorship Marketing Team will be only too pleased to help you. Or send us an email to sponsorship@capital1017fm.org.au . To go to their websites just click on the appropriate logo.